All the action without a glimmer of glare. Exclusive AutoBright™ optics offset dazzling light automatically, for the best view under the sun. Tuck this 4-inch marvel into pack, pocket or purse on your way out, for glare-free viewing from 6.6 feet to infinity. Fast-Close Focus, rainproof and rugged, with versatile 8x magnification. It’s the trimmest, lightest Sunlight Adaptive optic there is. 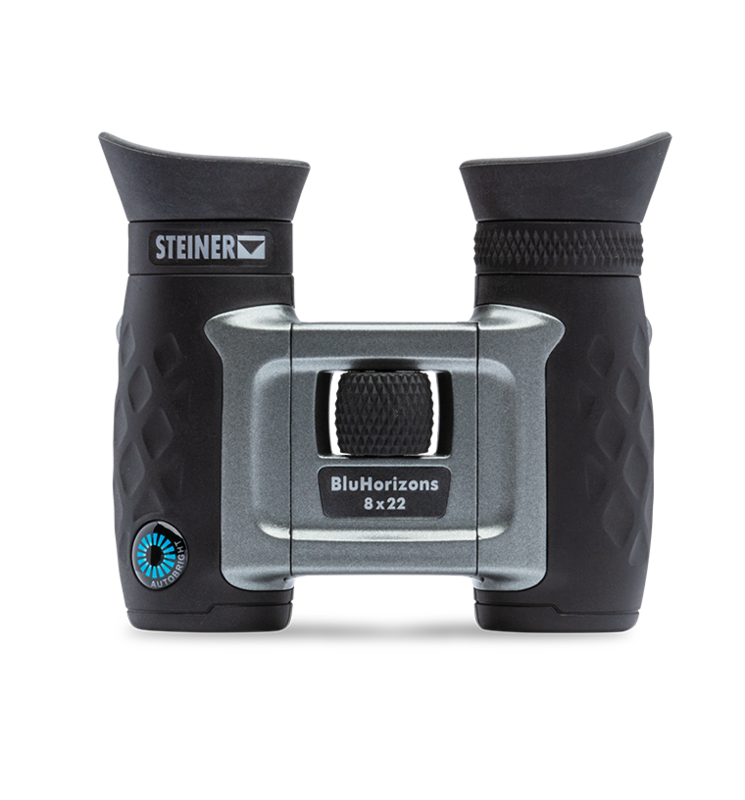 "In very bright conditions, the Autobright™ optics that gives these Steiner BluHorizons binoculars the ability to reduce glare and produce a less washed out, more vibrant image" Read the full review here. Automatically optimizes lens light transmission for maximum clarity in bright conditions. No shimmer or glare from water, sand, snow or sky. No squinting, guessing or eye strain. Just a perfect image. Great feel and fast focus. Grippy textured armor, ergonomic body and Fast-Close-Focus™ system make clear viewing a pleasure anywhere. Wherever bright sun is an issue, you’ve got a clear solution.